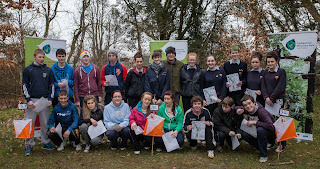 Waterford Orienteers will host the penultimate round of the Southeast orienteering league on Sunday 12th May in the splendid setting of Castlecomer Discovery Park. Set in the former grounds of the Wandesford Estate, Castlecomer Discovery Park is located just under 20km north of Kilkenny City. It comprises 80 acres of stunning natural woodland, is an approved Discover Primary Science centre and provides Primary and Secondary Education programmes. This relatively ‘young park’ began as a community project to rejuvenate the town of Castlecomer following the closure of the coal mines in 1969 and opened to the public in 2007. The usual blue, green, light green and red courses will be on offer. The area has been mapped by Pat Healy at 1 to 5,000 scale. 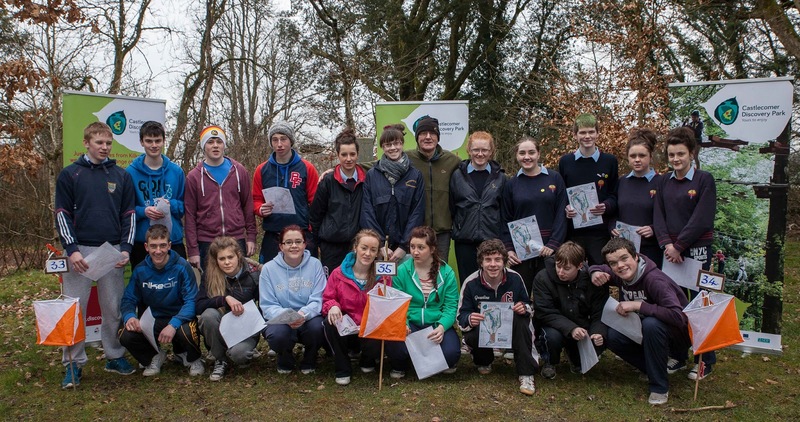 The 3 newly created permanent orienteering courses, (1 -3km) approved by the Irish Orienteering Association, will be officially launched at 11am. All are invited to be there to lend support to this fantastic new initiative. Courses will open immediately after the launch. Beginners are welcome at a fee of €2 per map. Discover the fascinating Coal Mining Museum which comprises a 45 minute tour through Castlecomer’s coal mining past. This fascinating exhibition is an interactive, multi-media display that takes the visitor on a journey through time. Starting with the formation of the coal 300 million years ago, it brings the visitor through more than 300 years of coal mining history to the closure of the mines in 1969. Try out the new Tree Top Adventure Walk, Leap of Faith and Climbing Wall....need to ring to ensure availability in advance 056 – 4440707. The Bridgestone award winning Jarrow cafe serves beautifully made healthy food - well worth a munch before ambling outside again to enjoy the fabulous craft workshops in the former stable yard.